This year I've decided to do a little something different, just to bring a bit of festive fun to the blog and also to Wifetime of Happiness on Facebook. 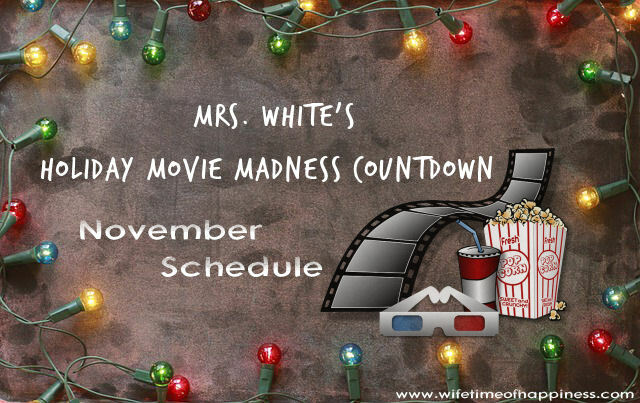 Mrs. White's Holiday Movie Madness Countdown – You can watch, as we watch! Don't forget to join us over at Wifetime of Happiness on Facebook! Your daily dose of fun and laughs! Thanks for joining us this holiday season and we hope to see you soon!